Christmas meals in Italy are varied by region but one thing they have in common is the antipasti. Well, at least the general idea of the dish or platter. It is basically a platter with all sorts of cold meats, cheeses, condiments and vegetables arranged beautifully to create an invitation to begin dining. I chose this item as a part of my reflection on Christmas in Italy because it is so adaptable to any Christmas celebration. Here is a list of things you might choose from for a more authentic antipasti, which by the way means "before food or before the meal." Marinated vegetables such as artichoke hearts, roasted red peppers, pepperoncini, and mushrooms. Breads like Grissini bread strips, focaccia, ciabatta, and other varieties of artisan breads. You can also add deviled eggs, grilled veggies, figs or melon (wrap the melon in prosciutto). 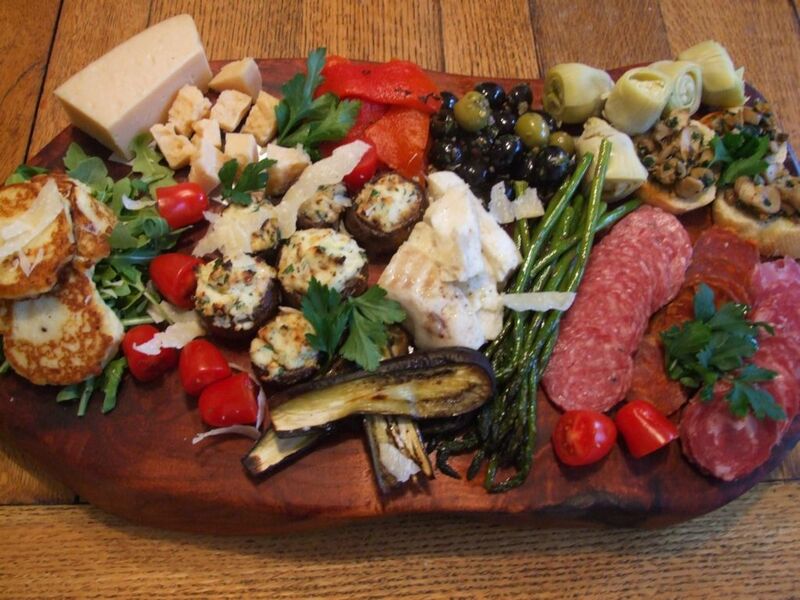 Antipasti make a great addition to any buffet table and informal gathering.